﻿This is a digital download. 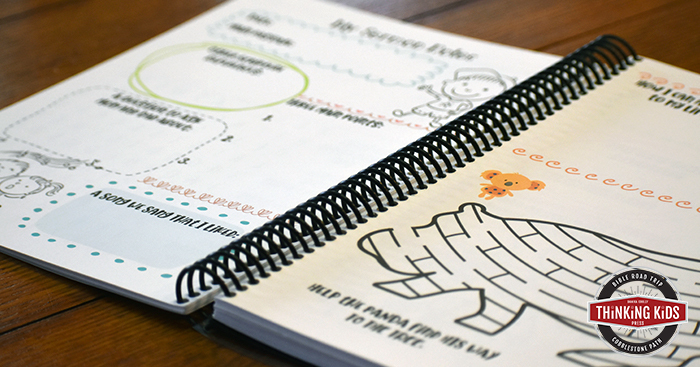 Help your kids stay in engaged in church with their My Sermon Notebook. They'll build skills for life learning to take sermon notes. Your child will learn to apply a structure to their notetaking they can maintain and expand upon as an adult. Looking for a way to keep your child learning and engaged during church? Help them learn to take sermon notes with the My Sermon Notebook! You'll want to download the My Sermon Notebook for your family to use at church! The My Sermon Notebook will allow your kids to take sermon notes, and stay engaged with what they're learning, while giving them something fun and hands-on to do during the service. Print the My Sermon Notebook duplexed (double-sided) and have them flip on the long side. I recommend printing the My Sermon Journal on white cardstock so the pages will be more durable with no bleed-through. Three-hole punch the pages and store them in a notebook. This is my favorite way to store notebooking journals. You can take it to a local office store or use your own comb-binding machine. Your child may wish to do a fun activity during the announcements or after taking sermon notes. These activities will help children occupy their hands and will become something they enjoy and look forward to. 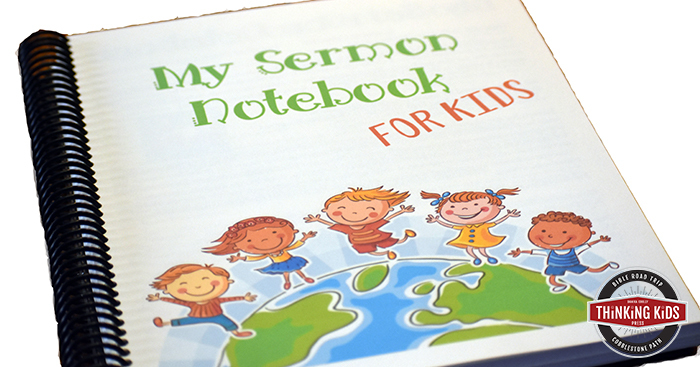 Help your kids stay in engaged in church with their My Sermon Notebook. They'll build skills for life learning to take sermon notes.